Niseko-based Rod White has resumed his daily reports that are the most informative and accurate run-down about snowfalls and weather conditions skiers and snowboarders will encounter. 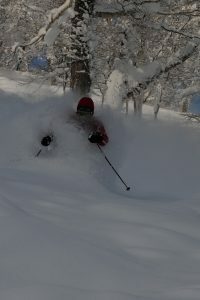 White posts on the SkiJapan.com’s website daily until early April 2019. He suggests snowhounds tune in around 7.30am Niseko time for the most accurate, and informative snowfall, weather and mountain report for Hanazono, Grand Hirafu, Niseko Village & Annupuri ski areas. “It’s an exciting time of the year – Intensity is building as local folk and early season winter guests seeking first turns.